According to Numerology, 2016 adds up to a 9, which represents completion. My understanding is that collectively, we’re wiping the slate clean for a new beginning, another nine-year cycle. The good news is that we are in that precious, sacred time where we get to envision 2017 with all of its magical possibilities, regardless of what transpired this past year. This time of year during the long, dark nights, I always make some room for some quiet reflection time - what did I love about the year? What would I have wished were different? What will the year ahead hold? How can I take the lessons from this past year and use them in the year ahead so that I’m not doomed to repeat them again? And again and again. I can also take the most challenging parts of last year and work on my perception of them. By softening around the judgement - of myself or the situation or anyone else with whom I shared the challenge - I can actually transform the effect of its hold on me by turning it over for a fresh, new perspective. In other words, I re-frame it using Love and Light as my guides. Simple. And then, instead of repeating the litany of all that went wrong, I clear my throat and offer my voice with a new song. Can’t you feel there’s a fresh start? New song new song new song Now! New Song is on my third album, REACH UP. 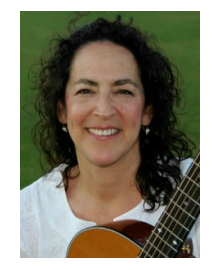 Featuring John Guth on multiple instruments, and some vocal harmony with Lisa Jane Lipkin, New Song is available on my website Sandi Kimmel.com or for download at CD Baby and iTunes. 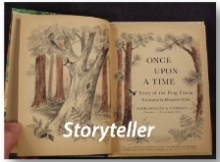 Please visit my website to learn more about me and my music. You can listen to New Song and all of my other songs anytime on SoundCloud. Thanks so much for listening and for sharing the music! 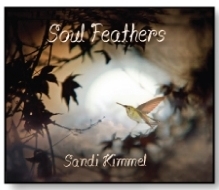 Soul Feathers - wisps of wisdom and tickles of truth, observations and offerings from my heart and music for the soul. We each have a part to play in this great movie, and mine is gently but consistently toss pebbles into the lake of humanity, and watch the ripples make waves. Soul Feathers is also the name of the album I recorded with producer Thomas Barquee. He artfully elevated the music to a high vibration of love and healing, truly music for these times. Music has the power to move and motivate, soothe and uplift, and these songs and chants support the journey as the music reflects my own journey. By sharing my perspective, practical spirituality and positive music, it is my intention to release soul-nourishing pebbles in the sea of our emerging consciousness. By sharing this work with other like-minded and like-hearted friends, you become part of the wave. Thank you for listening and especially for sharing!